Is it possible that medical cannabis might just be better for us than over-the-counter products for everyday aches and pains? And can we do it without getting high? Read on and find out. 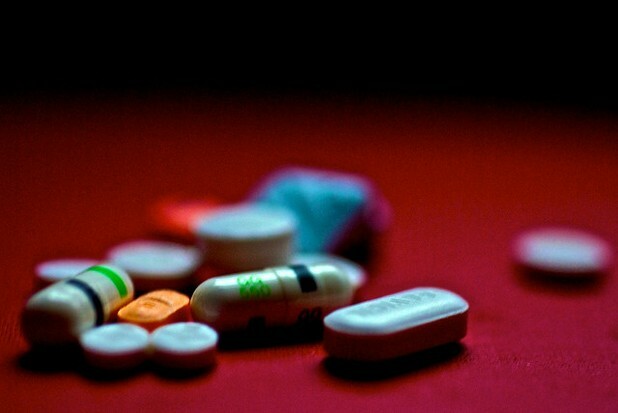 Almost all of us have taken an over the counter (OTC) painkiller. We most likely were given baby aspirin when we were children and probably continued on to specialized extra strength ibuprofen as adults. OTC drugs seem benign. They don’t require a prescription or a trip to the doctor. They’re readily available at every grocery store, gas station, bodega and pharmacy. They’re cheap compared to prescription medications, and we assume that they are perfectly safe because they are so prevalent. However, most of us probably wouldn’t consume these drugs (or give them to our kids) so readily if we were more aware of how they work in and even against our bodies. Just as important, with medical cannabis becoming more of a realistic option, we must understand how and why it might be used for everyday aches and pains – without the side effects. 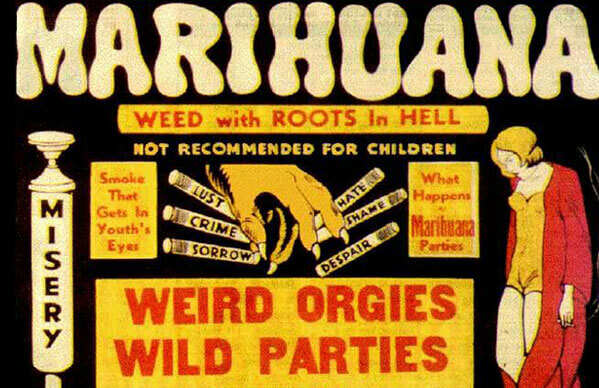 Medical cannabis didn’t always have such a dubious reputation. For most of its history, physicians have counted on this herb as a top remedy for many ailments. Cannabis was the most commonly used painkiller in the U.S. until 1899 when aspirin was introduced. In 1906, the Pure Food and Drug Act – in an effort to target a latent morphine addiction in the public – required that any morphine as well as cannabis be disclosed in ingredient lists. Even though morphine and cannabis have different medical properties, it was a smart move because people need to know what they’re putting into their bodies. 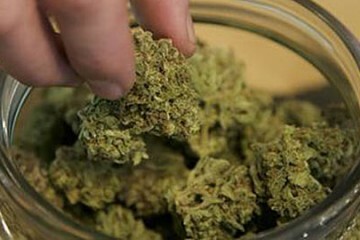 Medical cannabis however remained quite popular among physicians. Before the very un-scientific launch of marijuana prohibition in 1937, which physicians in fact tried to stop, the US Pharmacopoeia listed cannabis as the primary medicine for over 100 diseases. We’re all learning a great deal about how medical marijuana can be used to treat chronic pain. But how well does cannabis actually work for everyday temporary aches and discomfort? I’m currently doing an experiment on myself to see if I can use cannabis-derived remedies to directly replicate the experience of using OTCs. For example, whenever I experience any kind of pain that would make me grab an Advil I take something with a similar potency, form and method of consumption. Here’s why I decided to do this experiment and my take on how well it’s working. People take OTC painkillers for a myriad of reasons. Some folks only use them occasionally like for an alcohol hangover or to alleviate a fever or body ache when they have the flu. Other people take them daily. This list may look like I’m constantly hurting from one thing or another, but I’m one of those people that won’t tolerate being distracted by pain – even low levels – for any amount of time. I want to completely kill it the moment it’s even noticeable. In my rush to relieve those aches and pains, I never bothered scrutinizing the ingredients and side effects listed on the labels of my OTC meds – and why would I? We’ve been taught to trust most things with OTC status as harmless, right? This is one of the things I love about considering and experimenting with medical cannabis; it gets us asking critical questions about ALL medications. So before we get into analyzing the results of my cannabis experiment, let’s take a careful look at what’s really going on in that bottle of ibuprofen. We all have different pain tolerances and thresholds, and we all deserve medication to treat that pain safely and effectively. The OTCs I’ve relied on the most over the years are Advil (ibuprofen), anti-histamines and Pepto (bismuth salicylate). Let’s take a look at how these work in your body. General pain: Advil, Aleve, Tylenol, or Aspirin bring relief by inhibiting the formation of an enzyme called prostaglandin at the site of damaged tissue, blocking the pain nerve signal from being sent to the brain. Gastrointestinal issues: Salicylate, the active ingredient in Pepto and Kaopectate, slows the flow of liquids into the gut by coating the tissues. Anti-diarrheals contain loperamide, an opioid that decreases activity in the major nerve supply to the gastrointestinal tract. Skin irritations and sunburn: The active ingredient in Solarcaine and Lanacane is benzocaine, a (powerful) local anesthetic. The “-caine” part is no coincidence: Benzocaine is close enough in chemical structure that it can, and has been, mistaken for a false positive for cocaine. See a pattern here? The gut remedies and the skin treatment both contain opioid-like compounds. The benign OTCs our culture promotes as “not real drugs” actually are real drugs. It’s important to never make assumptions about anything we put into our bodies. Reading and studying the labels on any product before we consume is a great rule of thumb. Advertisements for prescription drugs are infamous for the casual way they present long lists of horrific potential side effects over images of healthy people enjoying life. Ads for OTCs aren’t much different; they are presented as being a guaranteed fix for your family’s ailments, but their side effects are also potentially quite dangerous. Reactions to OTCs run the gamut from heart attacks to vomiting, internal bleeding, facial swelling, anaphylaxis, rashes and gut issues. There is also a serious concern about interactions between OTCs and prescription medications. Along with the misconception that OTCs aren’t really drugs is the assumption that you can’t overdose on them. This couldn’t be farther from the truth. Acute liver damage is a real and possible side effect of dosages that are too high. Liver damage can lead to liver failure and death within days. OTCs manipulate the normal operation of your central nervous system by masking pain signals. Cannabis remedies, on the other hand, leverage your endocannabinoid system which is a part of your central nervous system that utilizes receptors in your tissues. The cannabis plant contains natural-occurring compounds called cannabinoids that lock into these receptors to deliver pain relief and reduce inflammation. The cannabinoids most often used in common painkilling remedies are CBD, THC and CBN. This can be a much more natural and holistic process than what you get from OTCs. And you can tap into these remedies without the psychoactive effects for which cannabis is so well-known. The one thing I knew when I began to experiment with cannabis remedies is that I wanted to AVOID any type of psychoactivity, which is exactly what I’ve done. So as you read how my regimen evolved, bear in mind that my experience has remained non-pyschoactive all the way through. The first cannabis pain remedy I used was a lotion to ease muscle aches during marathon training. That lotion turned out to be a game-changer. It was so effective that soon after I began treating toothaches caused by jaw misalignment using a very low-dose 1:1 ratio THC-CBD tincture during the day and hard-candy lozenges containing a 3:1 THC-CBD ratio at night. Within the past few weeks, I’ve added time-release topical patches to my recovery for deep body aches after long training runs. The patch I get the most benefit from releases 10 mg of CBN directly into the bloodstream. My soreness is gone after about 30-45 minutes and it stays gone. And I never have to use a second patch, in fact I sometimes cut one in half and the reduced dose still works great. Finally, I decided to go all the way and use the lozenges as an everyday analgesic, which turned out to be a perfect addition to my regimen. Even though cannabis edibles, which can take up to two hours to kick in, don’t quite offer the fast-acting relief we’ve come to expect with OTCs, I have found a way around that. A combination of edibles and topicals can speed things up. 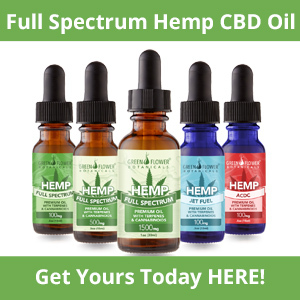 In the case of cramps, for example, I’ve found that THC-CBD muscle salves can quickly relax painful bloating while a lozenge or drink makes its way through your system. I don’t smoke or vape so these aren’t in the mix for me, but if they help you with everyday pain management definitely let us know in the comments below! When you switch from OTCs to cannabis remedies the same central rule for trying edibles applies: Start low, go slow. I started with very small amounts, around 2 mgs THC and worked my way up to a full dose of 7 mgs THC, both combined with CBD. Just as with food, it’s very easy to disregard portions when we use OTCs. We think of a dose of aspirin in terms of how many we swallow, not how much of a medicine we took. For example, one pill will stop a headache from coming on, then another an hour later will keep it from coming back. If you’re already in seemingly terrible pain, then three pills will knock it right out. How much active chemical are you ingesting in those pills? Is it even safe? Why Don’t More People Use Common Cannabis Remedies? This list looks obvious: You can’t take advantage of something that’s not available to you. Or if you are able to access it but believe that it’s harmful, you certainly won’t try it. This old propaganda poster seems downright silly now. What’s not silly is having to dig our way out of nearly a century of misinformation about this therapeutic plant. Prohibitionists have done a masterful job of preventing the public from learning about the beneficial properties of cannabis. It’s their little secret that you can easily take advantage of this herb and avoid getting high should you so choose. Micro-dosing or taking advantage of CBD-dominant strains are both perfect examples of this. Educating the public that medical uses of cannabis are for real, and not just for intense chronic pain or brink of death illness, is key to bringing it back into our medicine cabinets and into our healthy lifestyle routines. When I began my personal experiment, I knew enough about food safety to understand that not everything on the shelf is good for you. But after getting into this OTC research, all sorts of red flags began to unfurl. The debate I had with myself after learning the details of how OTCs work in your body was whether or not pain relief was worth ingesting these chemicals. Natural supplements often fall short of what people expect, (and their ingredients can be doubly questionable) which reinforces the belief that OTC drugs are the only available painkillers that work. Yet cannabis is such an effective analgesic that at one time the American Medical Association (AMA) argued against prohibition on behalf of medical progress. Since the herb is extremely potent and essentially non-toxic, the AMA considered it a potential wonder drug. But after the onset of cannabis prohibition, any doctor who tried to fight it was unduly threatened by Harry Anslinger and the Federal Bureau of Narcotics. Cannabis is just now making a reemergence on the radars of physicians, and until they – and federal laws – catch up, we the people have to educate ourselves. The more I learn about how cannabis remedies work with the body’s processes, the more confident I am in my decision to eliminate OTCs and trust cannabis remedies.